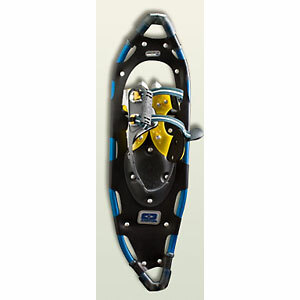 The Easton Hike is a sturdy, entry-level snowshoe that is at its best on groomed or well-tracked trails. However, it does not perform as well when you travel off the beaten path into the backcountry. Those who spend their snowshoeing days on groomed trails are likely to agree. However, I found the shoe unable to live up to its accolades in backcountry conditions. 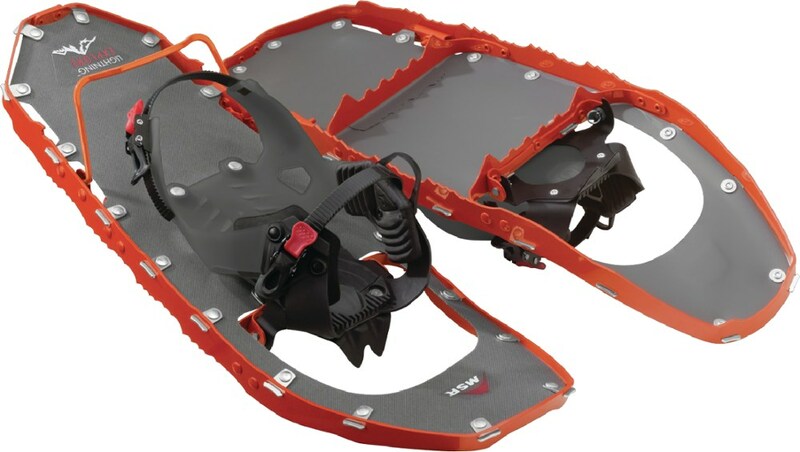 The Hike consists of solid construction: a 25-inch-long aluminum frame bound together at the front and back by hard plastic, a stable deck, and aggressive crampons at the toe and heel. The result is a sturdy shoe that weighs in at 5lbs per pair. On a groomed or tracked trail I was aware of, but not slowed down by, the weight. 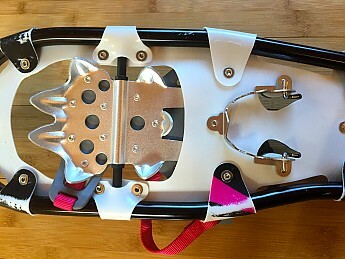 I found the crampons to effectively grip the packed snow, even on steep ups and downs, and was able to hike along comfortably due to the relatively narrow width of the frame without feeling as though I was waddling (Easton's website lists the width at 7-inches, but as shown in the photo below, the pair I was sent measures 8-inches wide). However, in the deeper powder of the backcountry, it was another experience entirely. 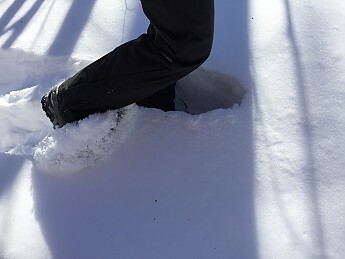 Breaking trail, the weight of the snowshoe was much more noticeable. My pace slowed remarkably as I found myself post-holing more than I would expect for the size of the shoe. I weigh 120lbs — maybe around 130lbs with winter gear — well below the recommended load of up to 180lbs (as Easton’s website does not provide a recommended weight load, I found this information listed by an online retailer). While the men’s version of the Hike provides the option of a 30-inch frame, this is not available in the women’s model. A tail extension is not available. Sorry ladies, post-holing may be your only option should you elect to venture off of the packed trail. 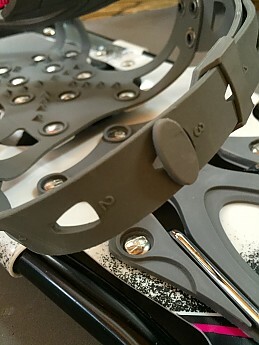 The crampons offer limited traction in backcountry powder. I found myself slipping much more frequently than usual, especially on steeper portions of the trail. I was not able to test the snowshoes in icy conditions, hard to believe, but it’s been a winter of powder in New England this season! 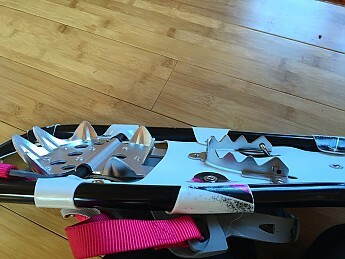 I imagine that the Hike might perform better on ice than in powder as the crampons easily gripped the hardpack of a groomed trail, but have not been able to test this as I can’t seem to find any ice in the backcountry (no complaints!). While the raised front of the snowshoe frame prevents it from digging into the snow (especially when breaking trail), in powder conditions the front tip of the snowshoe repeatedly hit me in the shin as I hiked! (There is a photo below for reference.) This did not occur while walking on a groomed trail. On a short trip, or one where minimal trail-breaking is necessary, this is only a minor annoyance. However, on a longer excursion in the backcountry, repeatedly being bumped in the shin by the front of the snowshoe is actually quite painful. 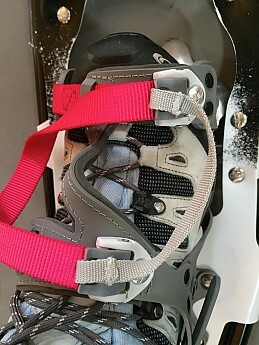 According to Easton, “the easy Quick-Cinch binding, with a single strap pull-and-go entry, holds the boot securely without shifting.” I agree that the binding is overall a relatively simple system. 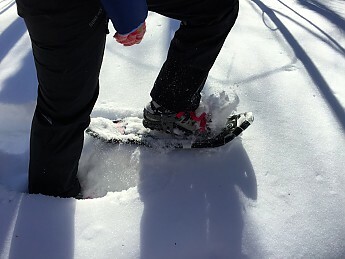 However, it takes some getting used to, and may be a challenge for someone new to snowshoeing. 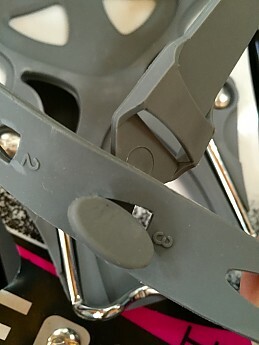 The heel binding is made of hard plastic and seems designed to be adjusted to a given setting and rarely changed. 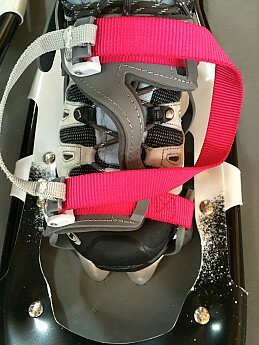 The benefit is that once the binding is set correctly you can use the snowshoes repeatedly without the need to re-adjust the heel. However, this system assumes the same user with the same pair of boots. If you do need to adjust the heel, I suggest doing so indoors before you leave home. 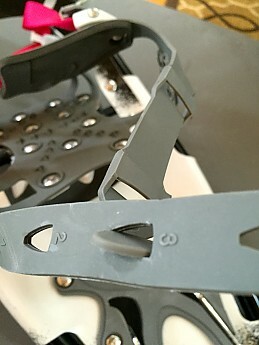 In cold conditions the plastic of the heel binding becomes more rigid and difficult to adjust. Even indoors, setting the binding is a challenge. Outside, I had to take off my gloves to adjust it, and even then it was difficult. 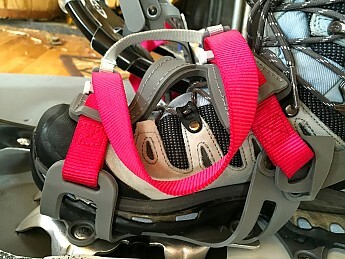 The forefoot portion of the binding is adjusted by pulling a single nylon strap. The material is solid and likely to hold up over repeated use. The single strap system is simple, in that there are few moving parts, yet adjustable enough to fit securely around my boot. However, I have to be conscious of loosening the mid-foot section of strap more than that at the toe. Otherwise, I’m unable to get my boot in or out of the snowshoe. Upon loosening the binding, this means that rather than pulling the single-release strap, I must hold the pull strap with one hand while loosening the actual binding strap with the other hand (see photo below). At least for me, if I simply pull the release strap to loosen, the midfoot will remain too tight to allow my boot to release. 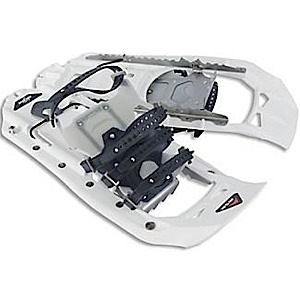 Now that I’ve figured out the system, the snowshoes go on and off easily. However, there was a steep learning curve. 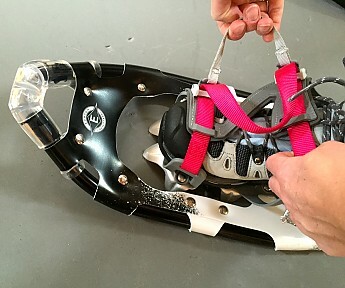 The Climb-Assist heel lift is a clear strength of the Hike, as it is a feature that is not always available on mid-range snowshoes. I found it easy to adjust by kneeling down with my heel lifted and clicking it up or down. 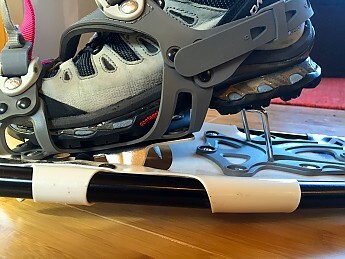 The heel lift stayed securely in place throughout my adventures on the trail, and was a welcome addition to the snowshoe on steep ascents. 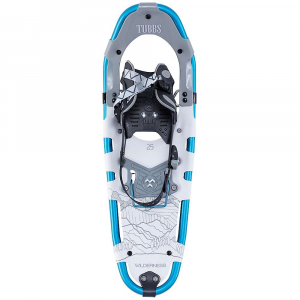 The Hike is priced as a solid mid-range snowshoe, with full retail listed at $139.99. 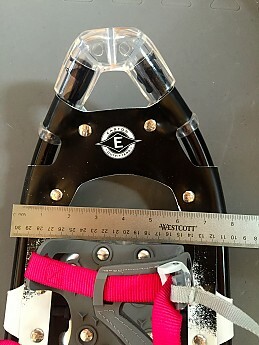 There are, consequently, snowshoes out there that will outperform Easton’s Hike, but will come with a higher price tag. If performance is your bottom line, I would suggest pursuing other options. 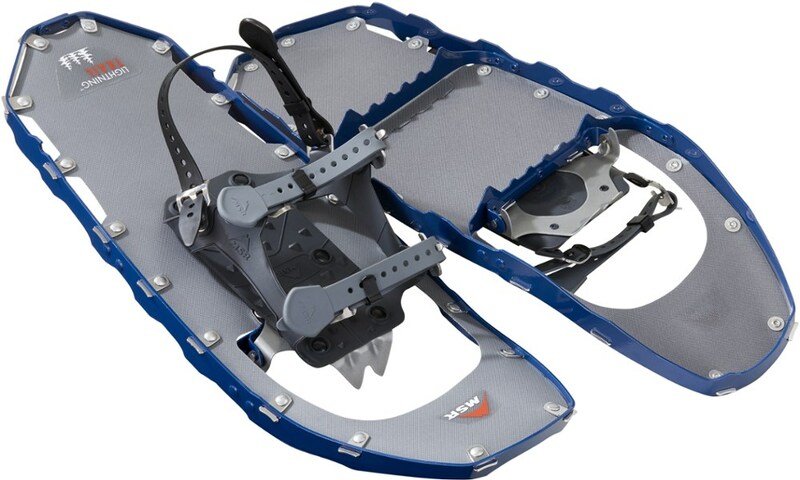 However, for those who are looking for an entry-level snowshoe that won’t break the bank, the Hike may be worth consideration. 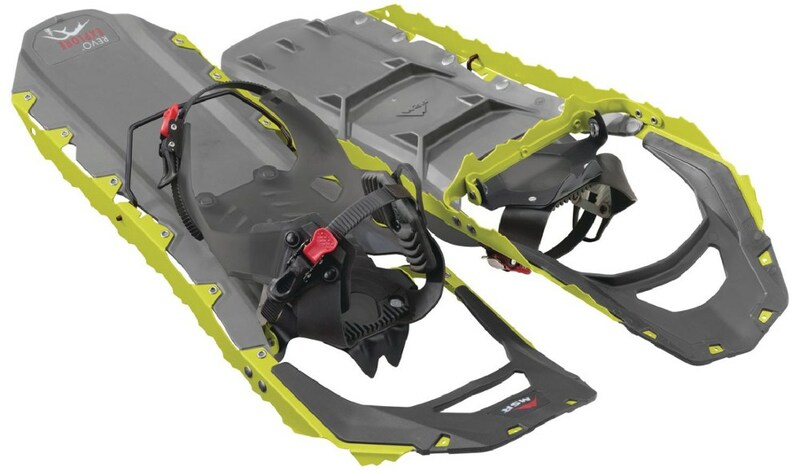 I will say that while I haven’t tested other snowshoes within this price range, there do seem to be comparably-priced models on the market that have similar features but are more lightweight. My overall impression is that Easton has created a decent product for someone who is unlikely to stray from the beaten snowshoe path in their pursuit of outdoor winter adventures. My greatest concern regarding the Hike is that it seems to have been misrepresented in its marketing. 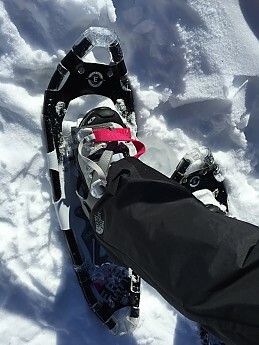 Expecting a snowshoe designed “to accommodate longer and steeper excursions” (as promoted by Easton), I found myself disappointed by the Hike's backcountry performance due to the weight, poor traction, and limited flotation. However, I would consider suggesting the Hike to a friend looking for an inexpensive way to explore a groomed or well-traveled trail. The challenge (and my primary reason for the overall low rating) is that the Hike’s performance is not consistent with the manner in which it is represented. Thanks for the testing and review, Kelly. I too am glad you're not finding much of any ice out there either! 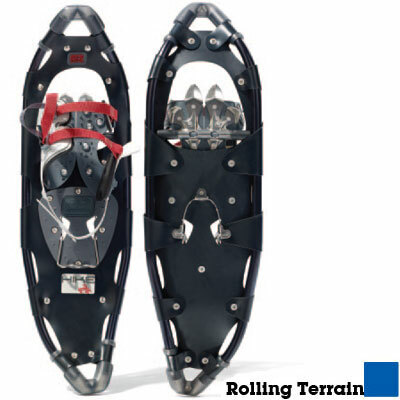 Sounds like these snowshoes would work better for the occasional, entry level snowshoer. Nice review, Kelly! I envy your chance to use these. We don't get enough snow where I live to justify buying snow shoes. Would love to have that as a regular hobby. Great review, Kelly! 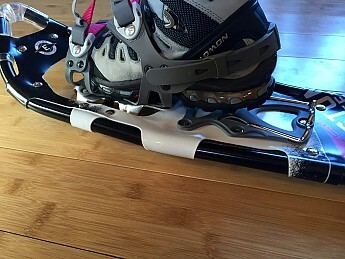 I don't know a whole lot about snowshoes, so this review was very helpful to me. I am hoping to purchase my first pair of snowshoes next winter, so I will keep all of this information handy. Sorry I am so late, I must have missed it! The Easton Hike is not available from the stores we monitor. It was last seen February 23, 2016	at REI.